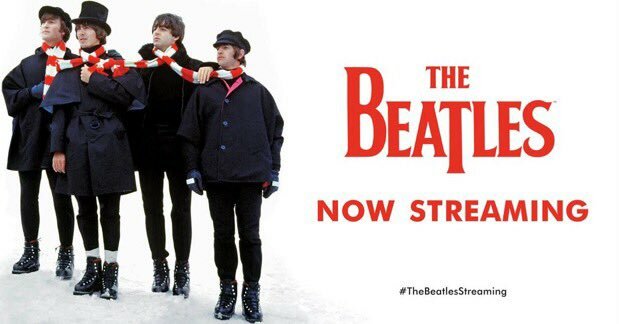 As expected, The Beatles became available to stream on Apple Music at 12:01AM on Christmas Eve, part of a global rollout. Are you ready Christmas Eve 12:01 AM we are coming to you from out of the blue peace and love peace love. Songs from the iconic music legends are now available to stream worldwide on Apple Music, Deezer, Google Play Music, Microsoft Groove, Prime Music, Rhapsody, Slacker Radio, Spotify and Tidal. This marks the first time The Beatles has become available for streaming; back in 2010, the band’s albums went digital for the first time on iTunes. Time to stream some tracks for Santa’s arrival tonight, folks!